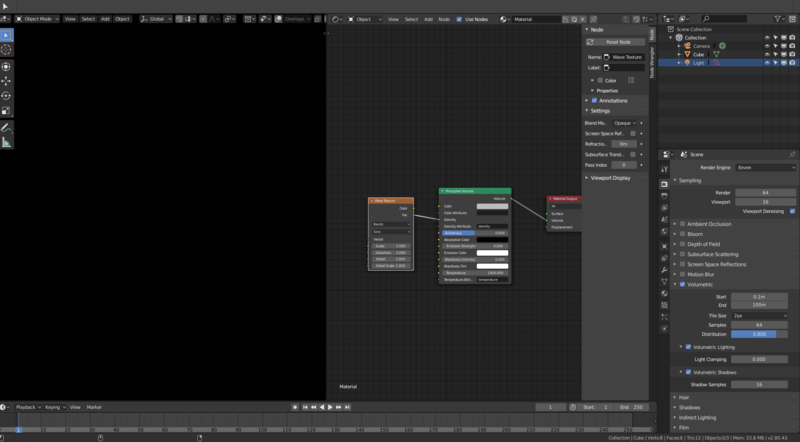 Blender 2.8 Eevee not showing any randomized volumetric effect. Thanks for your amazing work on Blender !!! Works for me on linux. So this might be a mac specific bug. Brecht Van Lommel (brecht) assigned this task to Clément Foucault (fclem). Brecht Van Lommel (brecht) added a subscriber: serge ramelli (photoserge). When I try to mix a mask for two different materials it crashes. Or it might been displayer as 'pink'. Video and File is provided. Just plug the mask mix and crashes to reproduce it. Sebastian Parborg (zeddb) mentioned this in T59838: Smoke is not rendering in Blender 2.8. Sebastian Parborg (zeddb) added subscribers: Escape Freedom (escape_freedom13), Michael Soluyanov (crantisz), Robert MacIntosh (macro33). I have experienced a similar issue. Using blender-2.80-1c7695b8483d-windows64, when I render smoke in Eevee I get nothing. When I render in Cycles I see the smoke, when I render in "Workbench" mode, I also see smoke. In the viewport I can see it all correctly. Similar issue on my Mac MacOS High Sierra 10.13.6 (17G5019), iMac (Retina 5K, 27-inch, 2017), Graphics card: Radeon Pro 580 8192 MB. I can see volumetrics with Eevee, but it vanishes when I add any kind of texture. When plugging in the texture in the volume density the render does not show up. My light energy is at 20. I don't know if this is helpful, but as I have a bootcamp partition, I'm able to verify that on the exact same hardware, using a texture to drive volumetric density in eevee causes the volume to disappear on macOS Mojave, but works as expected on windows 10. Sebastian Parborg (zeddb) added a subscriber: Johan Walles (walles). 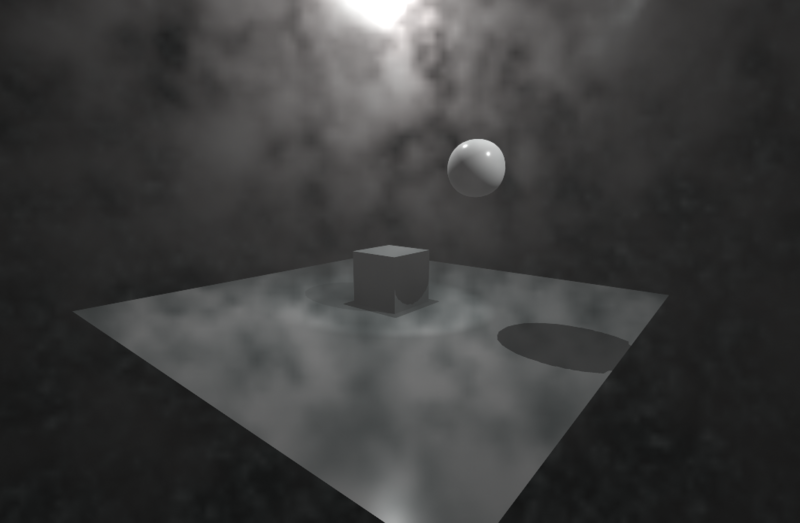 Clément Foucault (fclem) added a commit: rB3ab879ed5a58: Fix T58793: Volumetric Clouds in Eevee not working | MacOs. Okay, now volumetric aren't showing at all. @John Grigni (JohnGrigni) Can you look up the console for any shader compilation error? This fix/bug report was mainly for world volumetric material, not object's. Ignore my post. It's working. I was a dummy and didn't click on Volumetrics in the settings. Can confirm the fix as well, works like a charm now, thanks for fixing @Clément Foucault (fclem)! I can confirm it is working now as expected. Thank you for the fix! Can confirm for Mojave. Great! Thx a lot!